Over six years later, and all of those questions have been answered. A colleague asked me recently “Would you ever work in another early childhood centre”. It’s an easy answer for me, “No way”. Just over six years ago I stepped into New Shoots Papamoa and my journey has been memorable, empowering, and fun filled. I have had the pleasure of working alongside the most incredible children, many of whom I hold dear to my heart today. The teams of teachers I have worked with are the most passionate, loving and committed group of teachers I have known. What makes me love it? Come down and have a look - you won’t be disappointed. We have an amazing outdoor area, gardens and trees that are well established and that provide plentiful shade. Our resources are stunning and so is our environment. We have two separate buildings divided into five age-specific learning spaces. These two separate areas are 3000 square metres each! 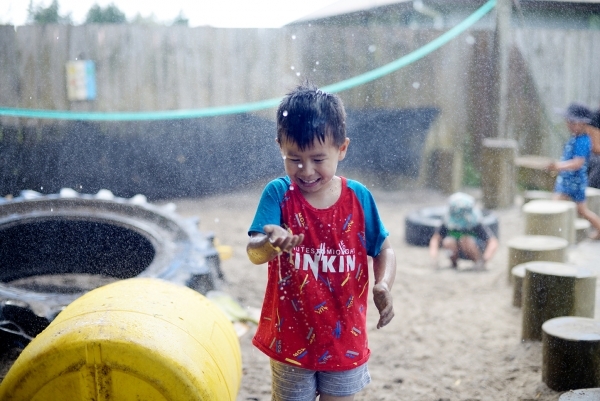 At New Shoots Papamoa our infants and toddlers have all the space they need to grow and explore, and anyone who has witnessed four-year-old children move will understand how much space they need to run, jump and move as they learn. We are thrilled to be able to provide that space for our older tamariki. Our preschool building has a wide range of ‘loose parts’ that encourage children to engage their intelligences through imagination, creativity and problem solving. When you walk into New Shoots Papamoa our aim is that it feels right. That means you your family and your child are acknowledged, treated with respect and are supported through your journey with us. It means that you should be able to ‘feel’ our culture by the way we interact with each other, with the children and with our families. We laugh and have fun here at New Shoots Papamoa! We do this firstly because we love our jobs, and secondly because we believe that your children have the right to be surrounding by people who are joyous and truly enjoy what they do day in and day out. Our team is AWESOME. We are well established, playful, innovative and passionate about what we do and why we do it. We LOVE our jobs and we care deeply for each other and most importantly for our New Shoots children. “Thank you for loving our Maverick so much! You make our days so much easier” (Maverick's Mum, December 2017). We operate a distributed leadership model where each team member is valued and encouraged to take responsibility and leadership in areas they are passionate about. We have a diverse range of teachers, who bring forward a variety of backgrounds, strengths and interests. As one family member recently stated: “Amazing team!! Each teacher brings something unique to New Shoots that make it a special environment for the kids” (Nicole, December 2017). And: “You guys are the best and go well above and beyond to care for our little peeps!” (Ashlea, December 2017). We have had many families who have entrusted us with not just one of their children, but two or three of their children. What an honour that is! 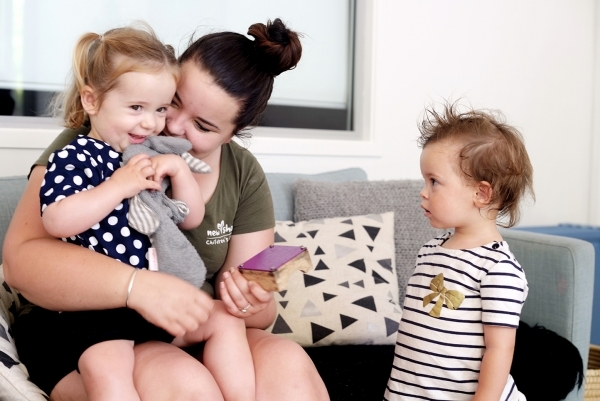 Our families are kind hearted, friendly and relaxed just like our unique Papamoa lifestyle. They always support our endeavours to contribute to our local community, whether it be Red nose day, New Shoots market days, donations to Women’s refuge, Autism awareness day or other local events. One of the special things about our families is that they have gotten to know each other really well. They have built up their own support system with each other, many remaining friends and supporting each other well after their children have left New Shoots. We have even had a pair of our families take an overseas trip together! Being a well established centre we have a variety of traditions and events. We operate a ‘house’ system where children are grouped into houses and participate in a range of events such as Olympics day, biathlons, and athletics days. As a teaching team we take our role seriously in guiding our children to develop heathy attitudes and dispositions for LIFE. We pride ourselves on encouraging our children to give things their best shot. Our children know that it is ok to make mistakes. They know that what is valued here at New Shoots Papamoa is perseverance, GRIT, resilience and kindness and support towards others. They often say to each other “You need to try and try and try!” Here’s a quote we overhead from one of our children to his friend after our athletics day: "I am so proud of you. You did a great job and big effort"
Our families get involved in our events with such enthusiasm - be it Tug-o-war, excursions, or our piggy back races, they are always on hand to support us and their children. “Thanks for organising yet another wonderful day for the kids. Definitely a lot more learning than just sports skills going on. ‪Taylor's favourite part of the day was cheering on his little brother” (Taylor's Mum, October 2017). We are proud to be creating memories here at New Shoots Papamoa. One such example in when a past parent called in to visit in 2016 and told us that her daughter still had her medal from our Olympics day in 2011 up on her wall at home! “Thanks New Shoots for creating unforgettable memories for Olly” (Olly's Mum, October, 2017). Our teachers provide a range of amazing provocations to promote learning and thinking for our children. We follow our children’s interest and leave no stoned unturned. “Children are empowered to take increased responsibility for their learning, well-being of themselves, others and the group. They are actively engaged in meaningful and sustained learning through purposeful play” (Education Review Office, 12/9/2017). Our dramatic provocation of ‘Hatupatu and the Birdwomen”. Our families and children enjoyed these performances so much they become a weekly ritual. As one family member described it, we offer many ‘epic adventures’. Whether it is one of our infamous walks to the skatepark (our children can walk 4 kilometres! ), a magic show at the plaza, bike days, Marshalls Animal farm, dramatic re-enactments of being a soldier in the Army, visiting our local park or school we will get out and about and be a part of it. We also invite the community into Papamoa New Shoots to follow up on children’s interests. Librarians, Firefighters, Police Officers, Musicians….. we have had them all. Our children are connected to their community through these epic adventures. At the end of the day, there simply is no other place like New Shoots! We hope you and your family can join us here at New Shoots Papamoa. Written by Kelly Warren, teacher at New Shoots Papamoa since opening in 2012, and now the New Shoots Curriculum Advisor.